Saw these flowers left for ANZAC Day a week later, looking a little worse for wear, and though of The Ode . 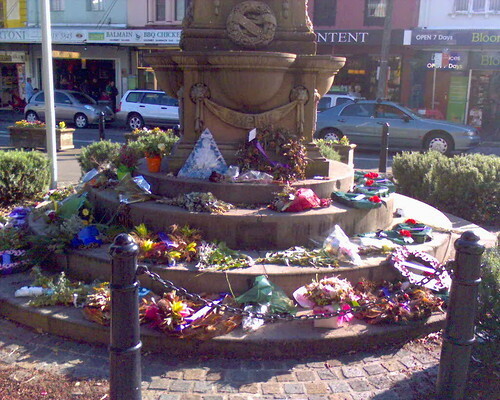 This entry was posted in Photos and tagged ANZAC Day, flowers, photo. Bookmark the permalink.